A lot of the wheelchair ramps we sell are to small shopkeepers who simple need a little portable wheelchair ramp which they can quickly set up to enable a wheelchair user to gain access to their premises. 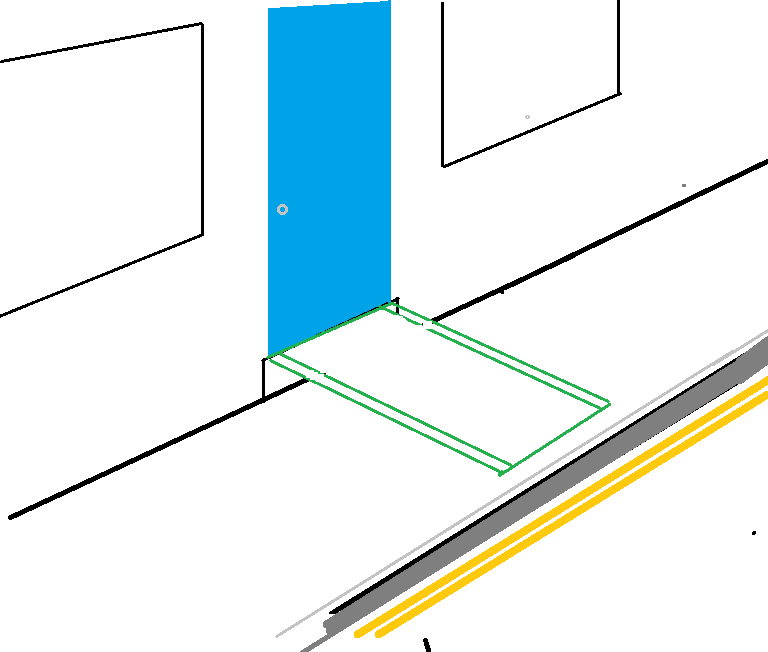 Most of the time a short straight out ramp is suffice, but if it is a particularly narrow pavement, the required length of ramp can sometimes end up too close to the edge of the pavement, making it unsafe for a wheelchair user to turn on to. 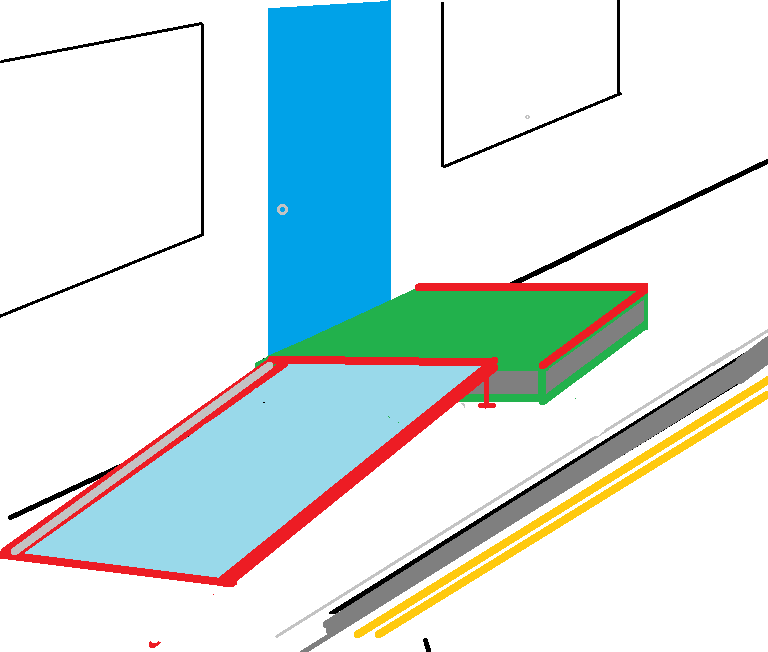 A way of overcoming this problem is to use a 1.2m square landing platform outside the door and then run a ramp at 90 degrees so that it runs with the pavement rather than running out from it.